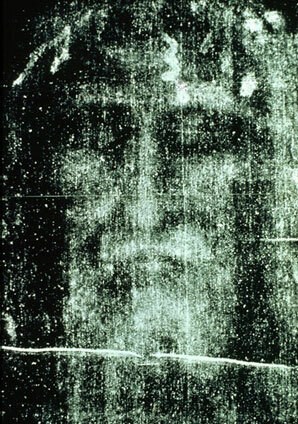 Experiments conducted by scientists at the University of Padua in northern Italy have dated the shroud to ancient times, a few centuries before and after the life of Christ. Many Catholics believe that the 14ft-long linen cloth, which bears the imprint of the face and body of a bearded man, was used to bury Christ’s body when he was lifted down from the cross after being crucified 2,000 years ago. The analysis is published in a new book, “Il Mistero della Sindone” or The Mystery of the Shroud, by Giulio Fanti, a professor of mechanical and thermal measurement at Padua University, and Saverio Gaeta, a journalist. The tests will revive the debate about the true origins of one of Christianity’s most prized but mysterious relics and are likely to be hotly contested by sceptics. Scientists, including Prof Fanti, used infra-red light and spectroscopy – the measurement of radiation intensity through wavelengths – to analyse fibres from the shroud, which is kept in a special climate-controlled case in Turin. Mr Fanti, a Catholic, said his results were the fruit of 15 years of research. He said the carbon-14 dating tests carried out in 1988 were “false” because of laboratory contamination. Scientists have never been able to explain how the image of a man’s body, complete with nail wounds to his wrists and feet, pinpricks from thorns around his forehead and a spear wound to his chest, could have formed on the cloth. Mr Fanti said the imprint was caused by a blast of “exceptional radiation”, although he stopped short of describing it as a miracle. He said his tests backed up earlier results which claimed to have found on the shroud traces of dust and pollen which could only have come from the Holy Land. Mr Gaeta is also a committed Catholic – he worked for L’Osservatore Romano, the Vatican newspaper, and now works for Famiglia Cristiana, a Catholic weekly. 1939: si salvi la Sindone dagli artigli di Hitler! !